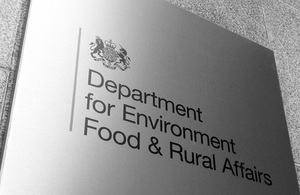 The process to agree a new Common Fisheries Policy is expected to continue into 2013. Fisheries Minister Richard Benyon will call for countries in Europe to be given more say in the way their fisheries are managed, when he attends the EU Fisheries Council in Luxembourg later today. This new regionalised decision making process would give member states more freedom to cooperate on the detail of fisheries management in a way that suits their own circumstances. For example, agreeing rules on fishing gear, and measures to prevent discarding of dead fish. Many believe that the current system is over centralised, bureaucratic and that fishermen are micro-managed. “It is crucial that we move away from the centralised micro-management that has served European fisheries so badly under the current Common Fisheries Policy. The reform of the CFP provides a crucial opportunity to overcome the structural failings of the current CFP and, for example, to tackle the waste of discards. A new CFP is expected to be agreed in early 2013. The UK continues to work with other Member States, the European Parliament, European Commission and those with an interest in the marine environment, to agree the necessary changes to deliver real reform. The process to agree a new Common Fisheries Policy is expected to continue into 2013, with the new CFP being agreed by “co-decision” by the Council of Fisheries Ministers and the European Parliament. Today’s Council is expected to discuss two key elements of the reform package - the Commission’s proposals for “regionalisation” of decision making, and for “Transferable Fishing Concessions”, a framework by which fishing rights would be defined, allocated and traded.UK Government wants to see genuine regionalisation of decision making, to allow Member States to cooperate on management planning, and to agree the measures appropriate to their fisheries. It is also important that Member States retain the flexibility to make arrangements to manage fishing quota in the way that best fits their circumstances.